Grab the tree and run! 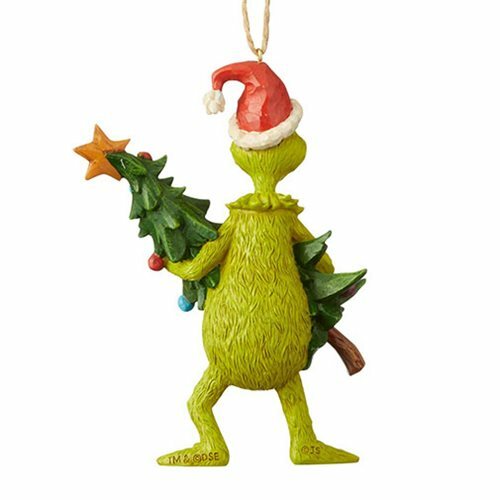 With a fully decorated tree in his hot little hands, the Grinch is doing what the Grinch does best in this terrific Dr. Seuss The Grinch Holding Tree Holiday Ornament. It measures about 4 9/10-inches tall and is made of stone resin. 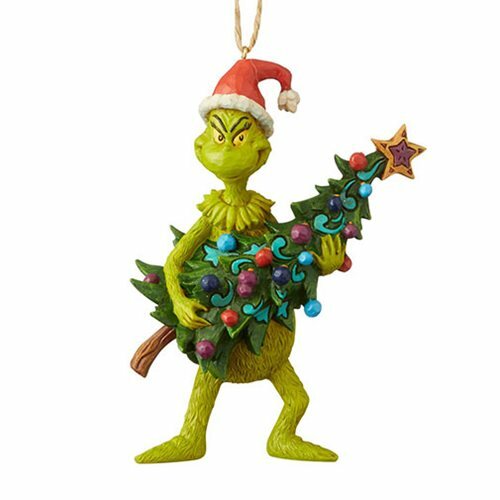 Won't he look cool on your tree?